This project was a teensy bit challenging – but when has that stopped me? 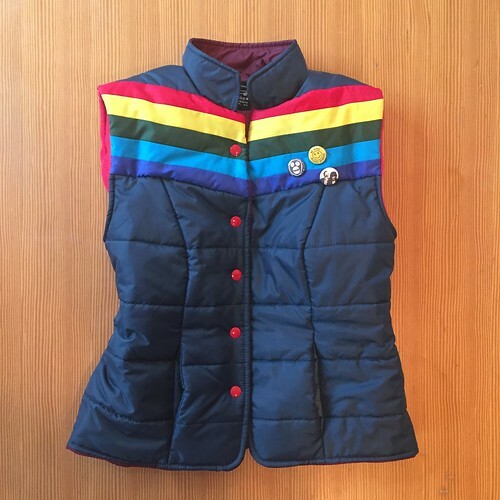 My friend wanted a princess-seamed vest in outerwear fabrics – not too shiny, with rainbow motifs and a vintage feel. 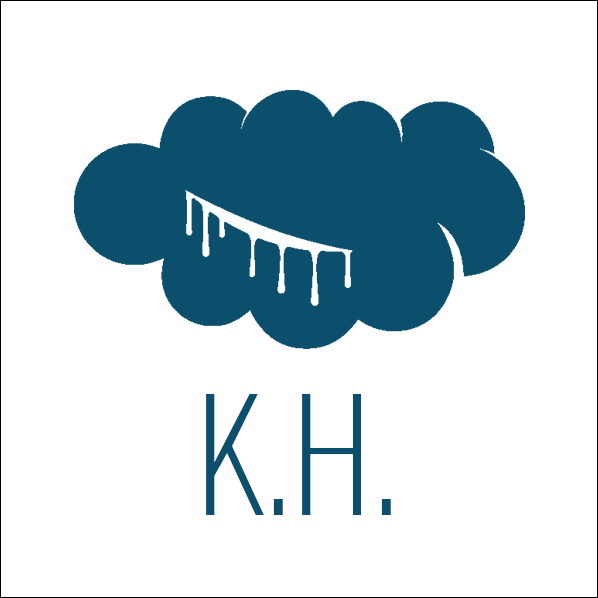 For the shell I chose a water-resistant nylon packcloth from the lovely RockyWoods, and underlined with two layers – a polyfleece, and a high-loft winter underlining medium. 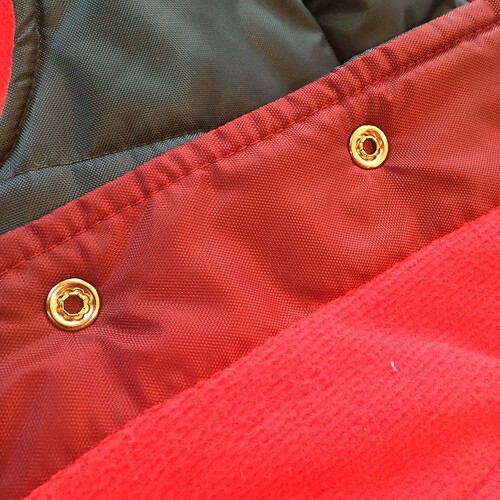 The collar has only a one underlining fabric in fleece, to keep bulk down. Facings around hem, neckline, and front placket. Snaps! Size 24, metal. 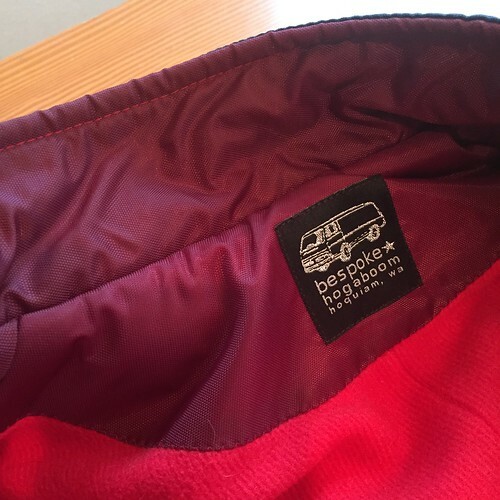 And you get a tiny peek at the very cool corduroy-style Malden Mills fleece lining. I chose it for the “vintage” effect of a wale fabric. 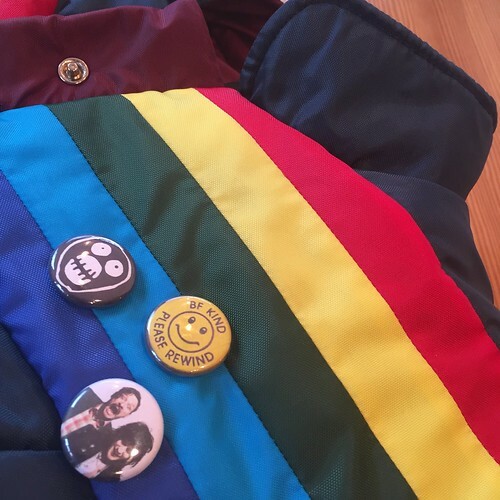 The rainbow section of the vest was first carefully pressed (pressing a nylon fabric isn’t super fun), then crackstitched to a muslin underlay, before applying to the rest of the garment. If I hadn’t put this underlay in, you’d be able to see some of the seam allowances too starkly. I’m a big fan of an underlap. You can make it from something cute if you like – a contrast fabric or even a pieced rainbow placket. Whatever you like. Here, I chose the burgundy for underlap, inner collar, hem facings, and placket facings. 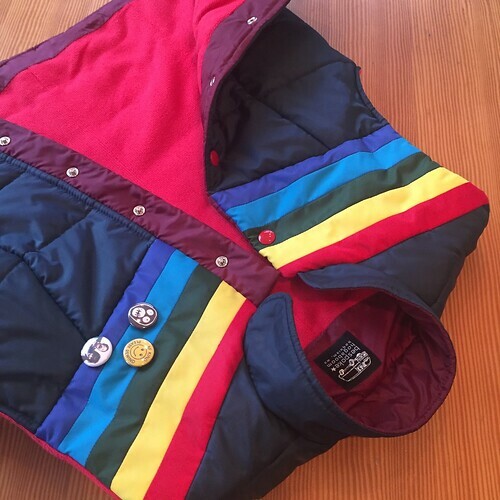 That is a beautiful vest!